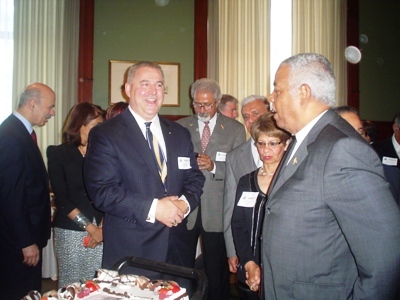 The celebrations were held in the Main Legislative Building, Room 230, 2nd Floor. 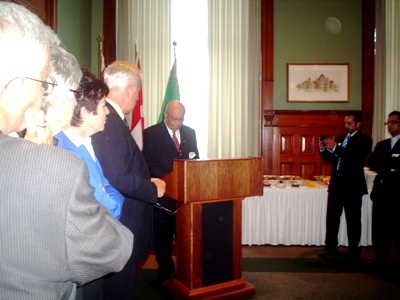 This time, instead of a dinner, it was a luncheon from 11:30 A.M. till 1:30 P.M. Several Members of Provincial Parliament attended. 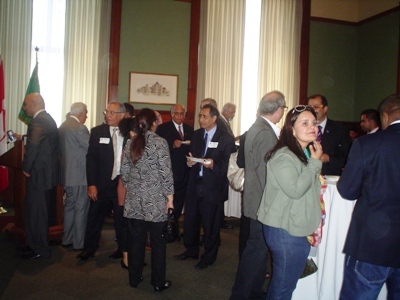 as the event was held during the lunch break for the House. 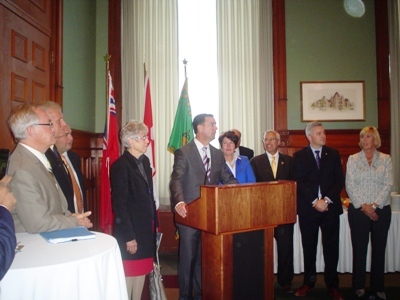 Premier Dalton McGuinty was represented by Hon. 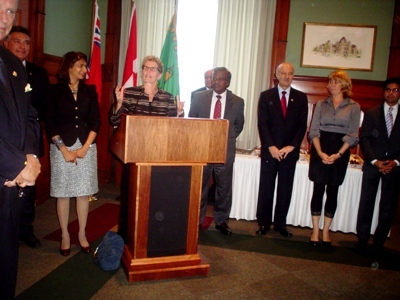 Kathleen Wynne who brought greetings from the Ontario Liberal Party, Hon. 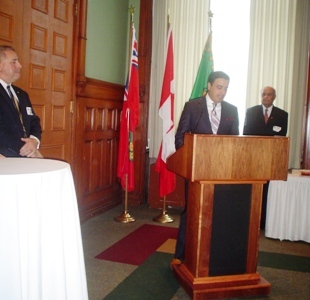 Tim Hudak, Leader of the Ontario Progressive Conservative Party ( Official Opposition) and Hon. 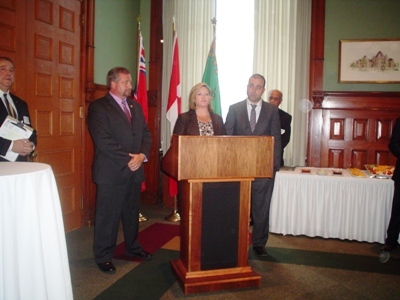 Andrea Horwath, Leader of the Ontario New Democrats brought greetings from their parties. President Mobeen Khaja welcomed the guests and !st Vice President, Zul Kassamali thanked the sponsors and those attending for their support and particiation. 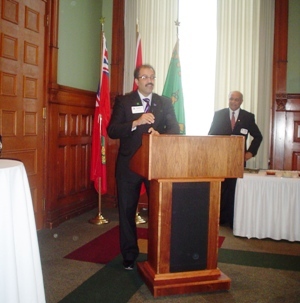 M.P.P., Reza Moridi, spoke about Eid celebrations. 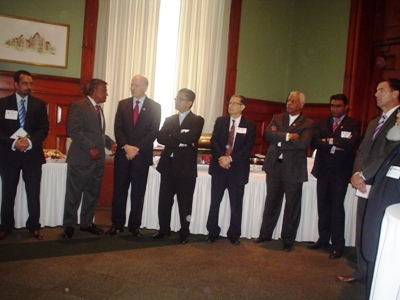 Septemer 10, 2012 happened to be Dr. Dilkhush Panjawai's birthday. His wife, Shahnaz, and his daughters decided to surprise him by bringing a cake which was enjoyed by all those who attended. 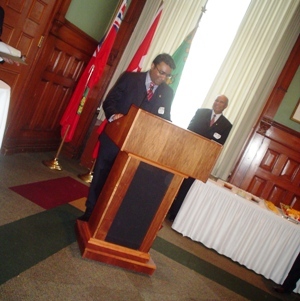 While the lunch was catered by the Queen's Park cafeteria, everyone enjoyed the samosas donated by the Sultan of Samosas.